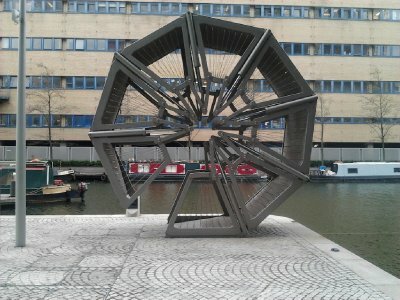 More of a curling octagon, really. 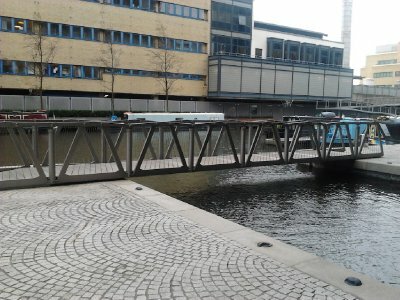 Imagine, if you will, you are walking along and ahead of there is a rather unassuming foot bridge. 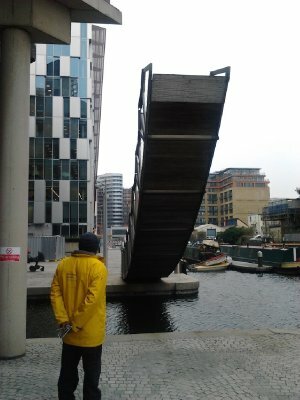 You might see a boat coming along, and think to yourself, "there is no way that boat shall pass under that bridge." Then the bridge starts to curl up, like a potato bug, getting out of the way of the coming boat. 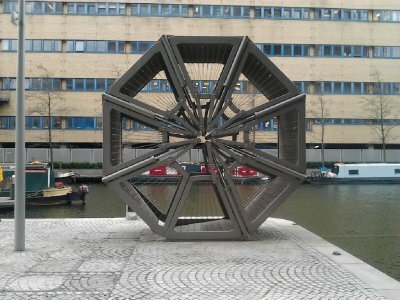 That is what you will find at Paddington Basin, where Heatherwick Studio's have created the Rolling Bridge just outside the corporate headquarters of Marks and Spencer. I previously worked in the area and had, in fact, crossed the bridge on multiple occasions without ever realizing there was anything special about it. Then a couple of man come out, blocking off the two entrances to the bridge, and slowly it starts to curl up. It rises like a straight lift bridge at first, but then the end starts pushing higher, and the bridge starts to warp into a curve. 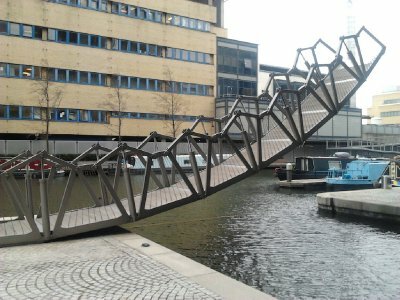 Eventually the bridge curls around onto itself, closing up into an octagon shape on one side, and freeing completely the channel it spans. After a few minutes, the bridge unfurls, eventually spanning the channel again. 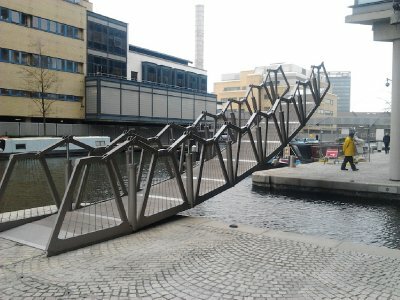 It becomes just a regular footbridge again. 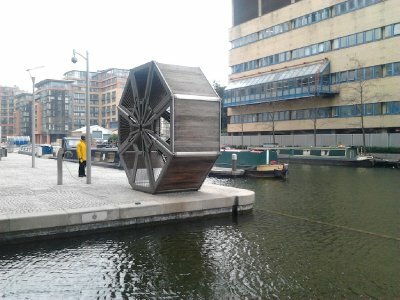 The footbridge can be found at Paddington Basin, just to the east of Paddington Train station. 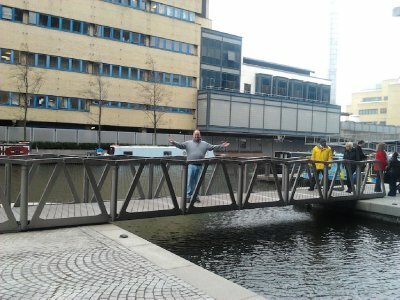 The bridge is opened every Friday at noon. Sheesh, that is rather cool!! 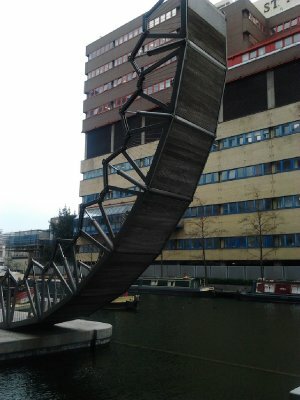 I thought it would slide rather than curl, but kudos to whoever designed that; really slick!